Michigan’s Northwest Lower Peninsula is a paradise for birdwatchers. 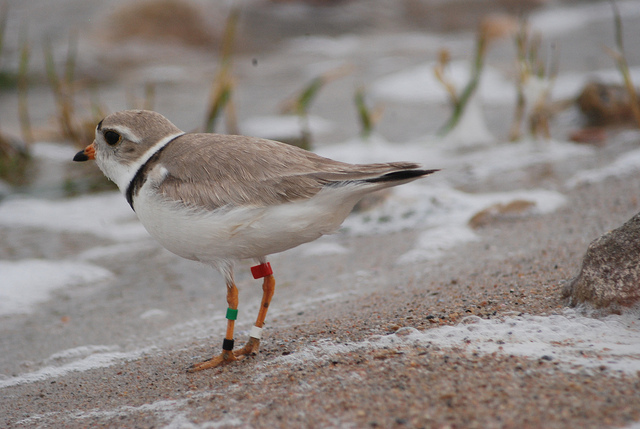 Piping plovers, on the endangered species list, and the snowy owl nest there in the winter. The region is a stopover for thousands of birds on their way to breeding grounds. The Petoskey Regional Audubon Society, in partnership with local conservancies, plans to celebrate the launch the Sunset Coast Birding Trail later this year. Lisa Hoyt, membership director at the Petoskey Regional Chamber of Commerce, said the trail provides new opportunity to bird lovers. Hoyt said a kick-off celebration for the Sunset Coast Birding Trail is scheduled for June 10. The team is still in process of getting permission from private property owners for some of the trail sites. The trail will start in Mackinaw City and follow a coastal corridor through Emmet, Charlevoix and Antrim counties. According to a report of the Mackinac Straits Raptor Watch, a nonprofit organization that educates the public about the birds and their migration, 47,090 birds migrated through the straits in 2016. “I hope we can have birding walks at several of the preserves and encourage families to come explore birds and to foster the next generation of birding enthusiasts,” Hoyt said, speaking of plans for the trail sites. Darrell Lawson, the president of the Petoskey Regional Audubon Society, said the group is cooperating with other grassroots organizations and Department of Natural Resources to design the birding trail. In addition to strengthening the economy through tourism, Lawson hopes the new birding trails will showcase the conservation efforts. “I think one way that really helps by bringing birders is that land managers and local conservancies will be able to get a better idea of what birds are using their lands, so they can better manage to support those birds,” he said. Michigan has six birding trails already — North Huron Birding Trail and Superior Birding Trail in the Upper Peninsula, and Sleeping Bear Birding Trail, Beaver Island Birding Trail, Sunrise Coast Birding Trail and Saginaw Bay Birding Trail in the Lower Peninsula. Another new trail, The Blue Water Birding Trail in St. Clair County, is also expected to launch this year. Birding trails have a history of increasing visitor activity around the state. A 2011 study by the National Survey of Fishing, Hunting and Wildlife-Associated Recreation, which planners are still using to make decisions, estimated that birdwatchers spent $1.2 billion on wildlife-watching activities in Michigan, and that people who traveled for the activity spent $425 per person on average. The survey said 2 million people in Michigan consider themselves to be bird watchers. To help interested residents expand the state’s network of birding trails, The Michigan Audubon Society, MSU Extension and the Sea Grant hosted a workshop in February to offer advice on how to get a birding trail started. Nelson said creating a birding trail involves picking the best spots to see interesting species with input from local experts and field surveys, getting landowners’ permission to put up signs in the location, and creating a website and physical map to distribute. Saw several plumed headed water birds on the MACKINAC Island Staites swimming with Loons and same behahavior. That were brownish in color and distinct top notch plume. What are they, so interesting looking?